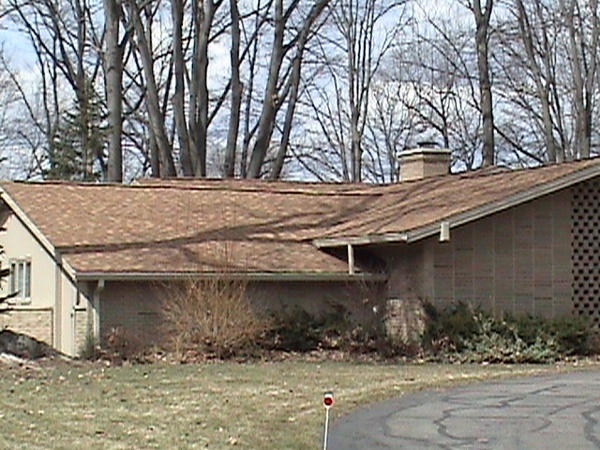 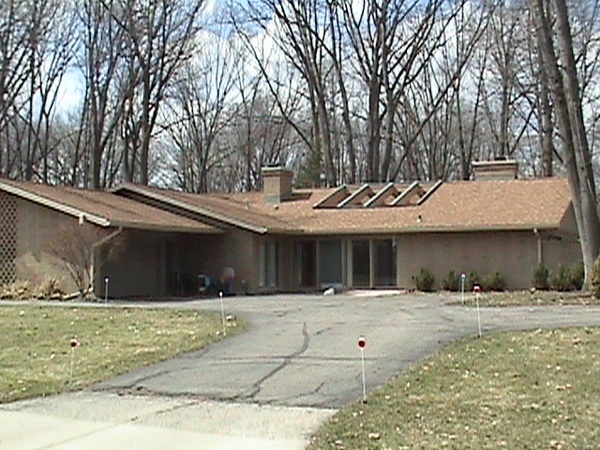 Shingled Roof Replacement photos for this home in Lansing, Michigan. Front view of this homes new shingles. Side view of shingled re-roof. 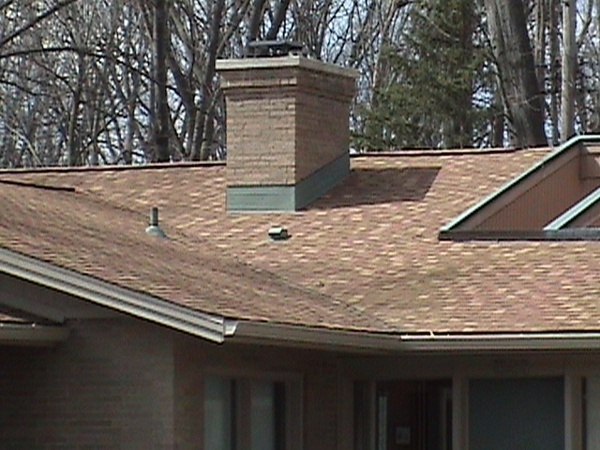 Detail of the flashing around the chimney on this homes shingled roof replacement. 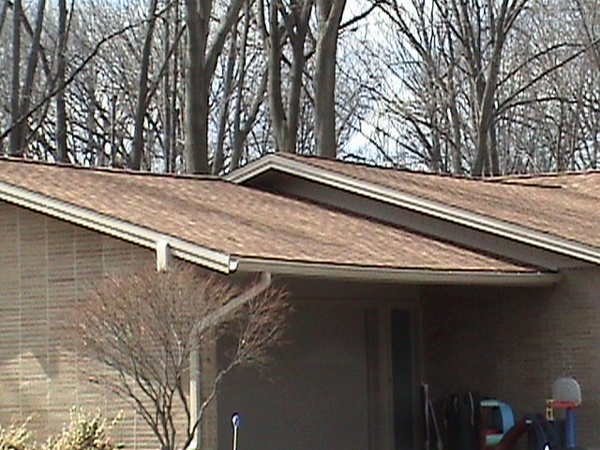 Detail of the new shingles installed of the garage of this home.